Hard boil eggs by placing them in a small pot covered with cold water. Bring to boil, turn off heat, cover and let sit 20 minutes. Drain and refrigerate a few hours or overnight. Crack off shell and chop. Par-boil potatoes by placing them in a small pot covered with cold water. Bring to boil, cook 5 minutes, drain and refrigerate a few hours or overnight. Slice thinly. 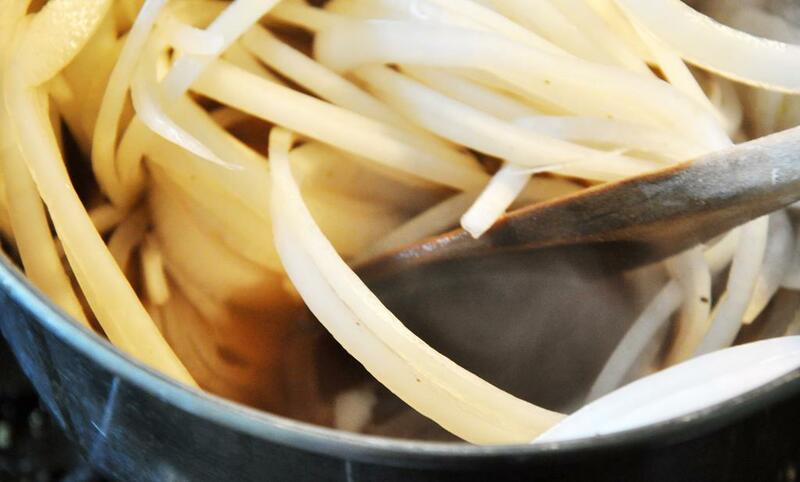 Pickle an onion by bringing vinegar, sugar, herbs and spices to a boil. Add onion slices and cook 2-3 minutes until onions begin to soften slightly. Remove from heat and refrigerate a few hours or overnight. 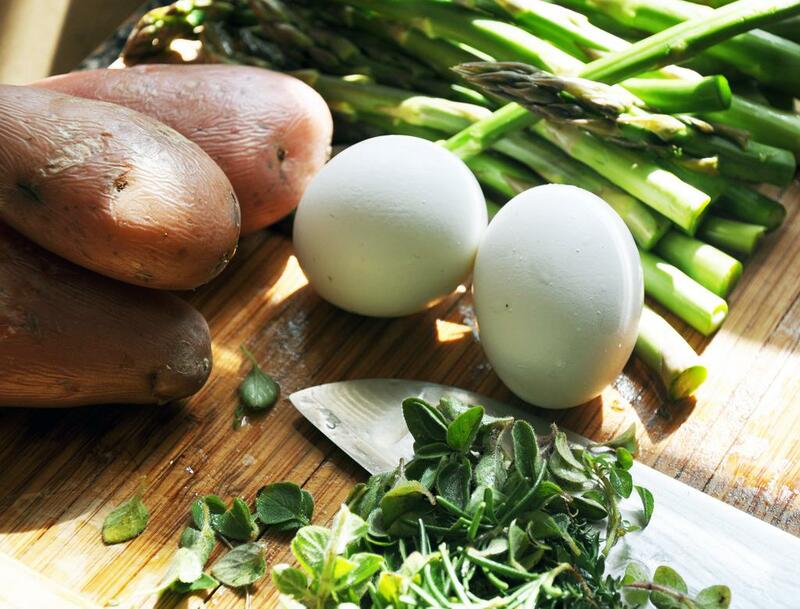 Steam, boil or sauté asparagus for a few minutes, making sure to retain crunch. 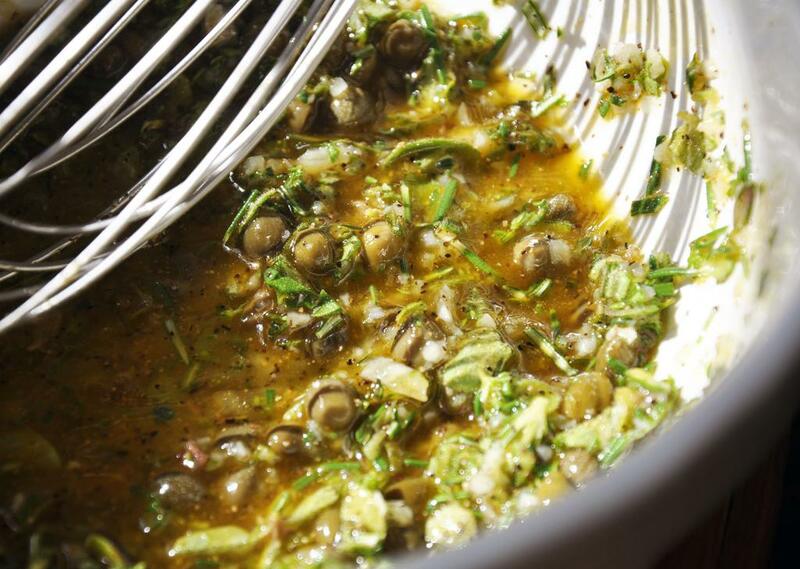 To make dressing, whisk lemon juice, mustard and EVOO. Add the remaining ingredients and whisk together. 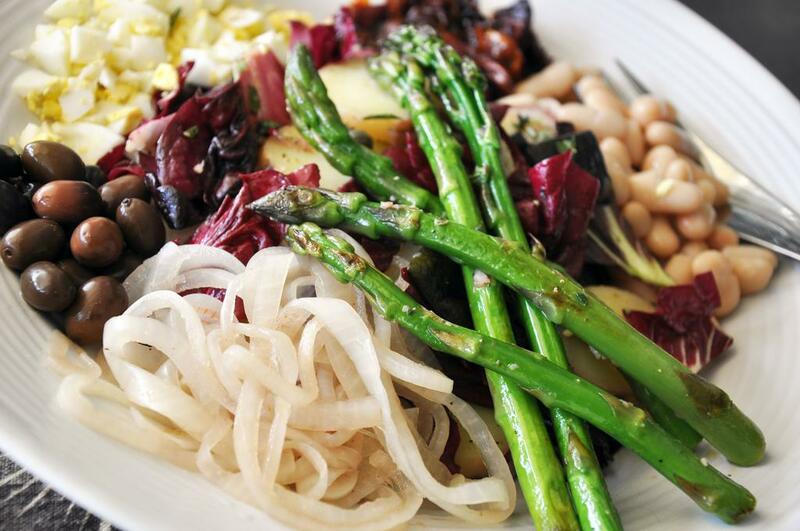 In a large bowl, toss dressing with radicchio, potatoes and asparagus. Divide among four plates. Arrange eggs, onions, tomatoes, olives and white beans around the lettuce mixture. Enjoy!